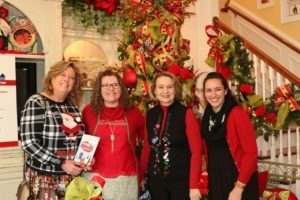 Fort Bend Junior Service League members each select a core placement with which they devote many volunteer hours; this gives members the opportunity to provide direct service to one of the six core placement agencies in Fort Bend County who FBJSL serves. We announced our 2017-2018 and 2018-2019 Core Placements at the March general meeting. The Core Placement Selection process is rather new, so we’d like to share some details with you. Click here for an overview of the Core Placement Selection process. Child Advocates of Fort Bend (CAFB): CAFB is committed to helping children navigate the path to permanency because their mission is based upon the belief that every child deserves a safe and permanent home. The agency offers many volunteer opportunities, including: serving as a CASA (Court Appointed Special Advocates) Volunteer (requires a 30 hour training course) or CAC (Child Advocacy Center) volunteer (requires a 17 hour training course), joining an event committee such as the Christmas Home Tour or Gala, joining Friends of Child Advocates to help support a variety of activities benefiting the kids they serve and the volunteers who help them, assisting in providing office support and volunteering for various workshops and programs to create awareness about child abuse and prevention. Houston Museum of Natural Science – Sugar Land (HMNS): HMNS exists to preserve and advance the general knowledge of natural science, enhance in individuals the knowledge and delight in natural science, and maintain and promote a first class museum. HMNS hosts a variety of permanent and traveling exhibitions. With these exhibitions as a focal point, the Museum creates a wide array of educational programs for area schools as well as the Fort Bend County community. Members choosing to volunteer on this placement have the opportunity to volunteer at a variety of events hosted each month by the museum. Volunteers will also learn about science while giving hands-on presentations from one of the many touch carts located throughout the Museum exhibit halls. Cart subjects include Paleontology, Texas wildlife, African wildlife, chemistry, frogs, and a host of other subjects. 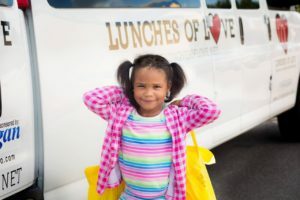 Lunches of Love (LoL): LoL is a community outreach program designed to show unconditional love to children and their families by providing a nutritious sack lunch to children who would otherwise go hungry during extended school holidays and weekends. With your help, Lunches of Love is working hard to end the very real problem of childhood hunger in our community. LoL meets Monday through Friday during winter break, spring break and summer vacation. Volunteers can also choose to help with the LoL Weekend Edition by packing non-perishable items and delivering them to school counselors for distribution every Friday for weekend meals. Additional volunteer opportunities include packing and/or delivering non-perishable meals, picking up weekly food and supply orders, participating in various events, such as the LoL summer picnic and the annual Walk of Love, and organizing food drives to help carry out the LoL mission. 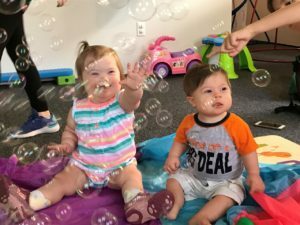 Gigi’s Playhouse Gigi’s Playhouse’s mission is to change the way the world sees Down Syndrome through national campaigns, educational programs and by empowering individuals with Down Syndrome, their families and the community. Programs are always available to participants and families despite their initial skill level or ability to pay. By offering free programs and through the Generation G Campaign for global acceptance, Gigi Playhouse EMPOWERS families by maximizing opportunities for daily achievement and lasting acceptance. To ensure lasting acceptance, we must show the world what individuals with Down syndrome are truly capable of achieving as students, co-workers, volunteers, friends, and valued members of their communities. 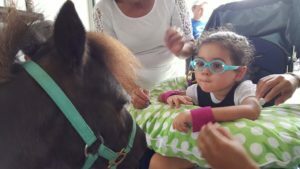 Reining Strength Reining Strength Therapeutic Horsemanship provides equine-assisted activities and therapies to children and adults with special needs. Our program is in need of sidewalkers and leaders to assist in our therapeutic riding lessons. Sidewalkers will be walking along side riders & support the rider in performing the requested activities of the PATH, Intl. To be considered for sidewalking, the individual must be physically capable of walking alongside the horse for at least an hour. Leaders will lead the horses during the therapeutic riding lesson. Leaders must demonstrate an ability to control the horse in various situations. Additional in-depth training is necessary to lead a horse during lessons. To be considered as a leader, the volunteer must be physically capable of leading and managing the horse for at least an hour. Fort Bend Children’s Discovery Center The Fort Bend Children’s Discovery Center is a very special project of the Children’s Museum of Houston. The Discovery Center occupies a 12,000 square foot restored building and features six exhibits. 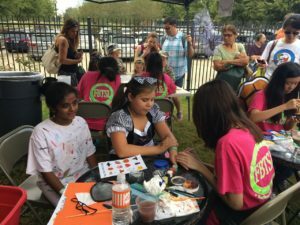 It gives the Museum the opportunity to enrich the educational lives of Fort Bend’s children by expanding cultural and educational family-focused opportunities.